San Diego DJ, Justin Kanoya, with the Fitbit crew at the 2016 Los Angeles Marathon. The mile 22 cheer station at the Los Angeles Marathon had nearly as many cowbells for cheerleaders as there were runners ... okay, not really. But if you wanted a Fitbit cowbell, you received a Fitbit cowbell. At the beginning of 2015 I wrote down a list of goals and among them were to DJ an event with at least 10,000 people and DJ at the start line of a major running event. Of course, if that second goal was met, that first one was pretty much in the bag. A year later, I’m happy to report that I can essentially check mark both, thanks to my friends at Fitbit. 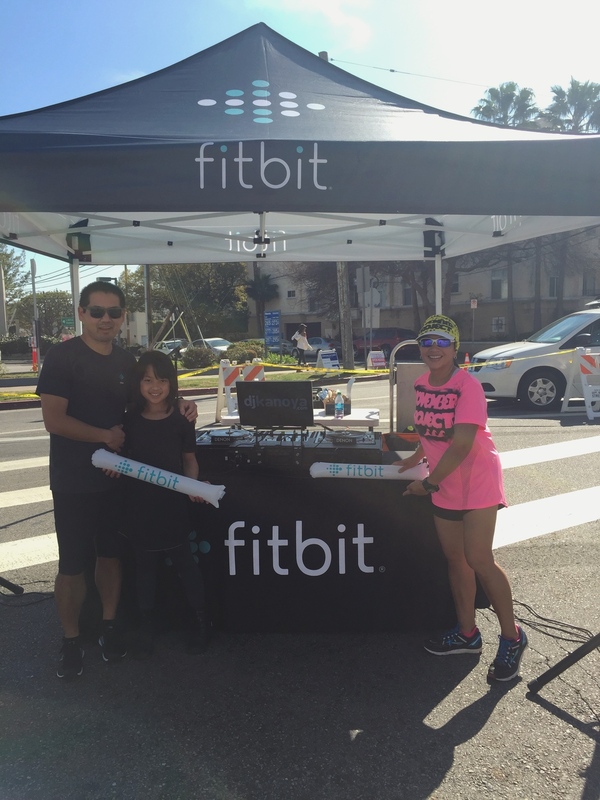 As one of the corporate sponsors for the Los Angeles Marathon, that took place on February 14, Fitbit has a major presence at all things related to the event. From the race expo, to a tent at the finish line to a cheer station at Mile 22. And that’s where I came in. I was set-up -- along with a handful of amazing members of Fitbit’s marketing team and super volunteer Erin -- at Mile 22 to play music and cheer on runners as they made their final 4-mile push to the end. And while it wasn’t at the start line, I can now check off “DJ for several thousand people” (20,000+ runners) and “DJ at a major running event” (the LA Marathon is kind of a big deal). You can even read about my own LA moment, with Josh Duhamel, which will probably go down as one of the most unreal coincidences in my life. Lastly, I still have not run a marathon myself, but I can now say I DJ’d one, and in a way it was a marathon all on it’s own. Here’s what a six hour setlist looks like.